The community of Mkhondo is deeply saddened by the untimely passing of Captain Sipho Johannes Khanye. Captain Khanye started his career in the South African Police Service on 1 August 1991, as a Constable in Amsterdam. Captain Khanye was stationed in Amsterdam from 1991 until 2016 when he joined the Piet Retief Station. Captain Khanye climbed the ranks during his career in the SAPS. On 1 July 1997, he was promoted to Sergeant and on 1 April 2010, he was promoted again to Warrant Officer. Captain Khanye was known for his good work at the Community Service Centre from 2001 until 2016, when he was the Community Service Centre Commander. On 1 August 2016, Mr Khanye was promoted to Captain and as the Communications Officer for the Piet Retief Station and Communication Coordinator of the Piet Retief Cluster. 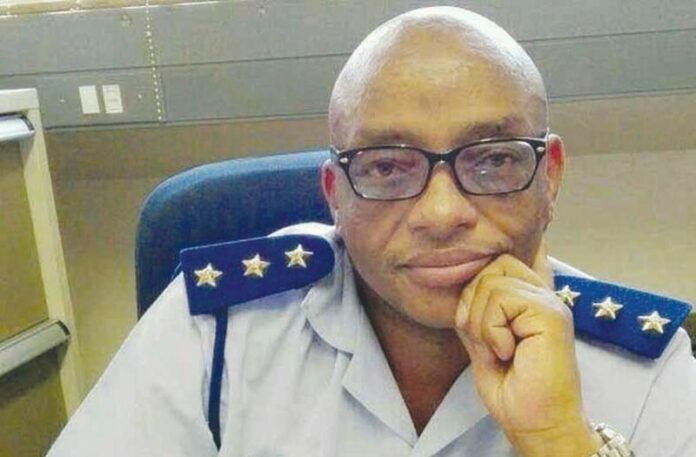 On Tuesday, 14 August, Captain Khanye passed away and as the Station Commander at the Piet Retief Station said: “He left huge shoes to fill.” Captain Khanye also received various medals during his 27 years in the SAPS. He was awarded with a 10 Year Loyal Service Medal, 10 Year Commemoration Medal, 20 Year Loyal Service Medal, Soccer World Cup 2010 Support Medal and Centenary Medal. He was a very friendly and energetic person who was always willing to assist where he was needed. Sipho Khanye is survived by his wife, Fikile Kelina Dube and his two children, Andile Khanye (daughter) and Bongumusa Khanye (son). On Wednesday, 22 August 2018, at 10:00, a Memorial Service was held at the Piet Retief River of Life Church. On Saturday, 25 August 2018, his funeral service will be held at the Siphumelele Hall, Elukwatini, from 07:30. The Excelsior News would like to express our deepest condolences to the family members, friends and colleagues of Captain Khanye. The Excelsior News had a good working relationship with him. Due to the sudden passing of Captain Khanye, the weekly local SAPS news will only be available again as from next week, 31 August. May you rest in peace.